Home » Blog » The Verdict Is In… These Are 2019’s Best Places to Go for Winery Getaways! Every year, Americans consume over 900 million gallons of wine! Are you an oenophile? Do you want to pair your love of wine with a fun vacation? If you answered yes to either of these questions, a getaway to a great winery might be just what you need. 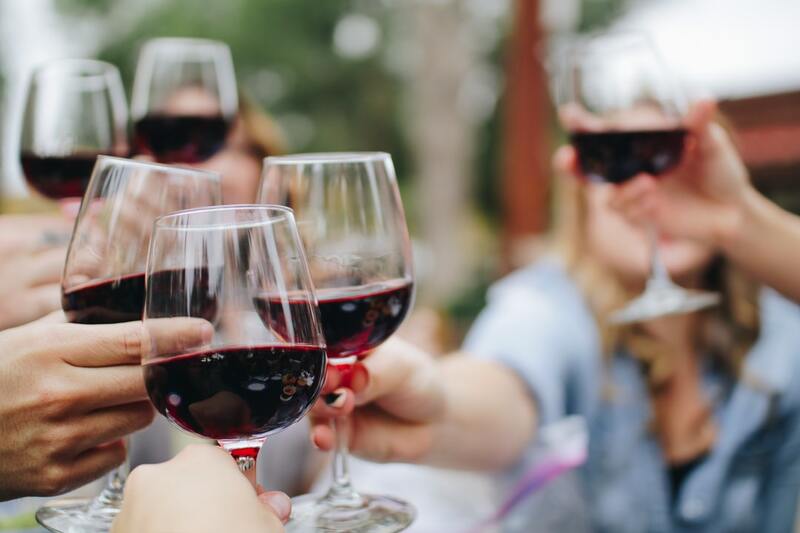 Whether you want to travel alone or with your closest friends, there are lots of places you can visit if you want to experience some incredible wine in an unforgettable atmosphere. Read on to learn about some of this year’s hottest winery getaways! Italy is home to some of the world’s best vineyards, and it shouldn’t come as a surprise to anyone that Tuscany is at the top of this list. While in Tuscany, you must try its world-famous Chianti Classico. In addition to sipping on some incredible wine, you’ll also get to take in stunning views. The rolling hills and vineyards of Tuscany are different from any other landscape in the world. If you only take one international wine vacation in your life, it has to be to Tuscany. If you’re interested in sticking a bit closer to home, you can’t go wrong with a trip to Napa Valley, California. Located about 65 miles outside of San Francisco, Napa Valley is filled with gorgeous vineyards where over three dozen different types of grapes are grown. In Napa Valley, you’ll also find lots of gorgeous hotels so you can relax in style after a day at the vineyard. If you want to go abroad for your wine vacation, another great location to consider is Bordeaux, France. Known for its incredible red wines, Bordeaux is the place to go if you love a good merlot or cabernet sauvignon. While you’re there, consider splurging on a meal at one of the many Michelin-starred restaurants in the city. Le Pressoir d’Argent — one of Gordon Ramsay’s restaurants — is a great option if you’re looking for an incredible meal. When most people think of wine getaways, they don’t think of North Carolina. In reality, though, the city of Asheville is a great place to visit if you want to try some delicious wine in a gorgeous atmosphere. One of the must-visit wineries in Asheville is the Biltmore Estate. Burntshirt Vineyards is another great option, as is Overmountain Vineyards. Vancouver, British Columbia is home to roughly 200 wineries that grow everything from Pinot Gris to Pinot Noir. While you’re in Vancouver, if you really want to have a luxurious experience, you might want to take a helicopter tour over the vineyards. SKY helicopter tours include private tastes and unforgettable views, all with the guidance of a professional sommelier. What could be better? Located in the Sammamish River Valley, Woodinville, Washington is home to over 100 wineries and tasting rooms. While you’re here, you can taste all kinds of delicious wines, as well as beer and spirits. You also get to enjoy incredible food in a unique, scenic atmosphere. This is a great place to visit at any time of the year if you want a relaxed winery getaway experience. Wine with a stunning ocean view? What more could you ask for? Santorini is home to a variety of vineyards and wineries, all with a fabulous view of the Mediterranean. The grapes on the island taste different from the grapes anywhere else in the world, thanks to the volcanic terrain. If you want to taste unique wines while enjoying delicious Greek cuisine, this is the place to go. Styria is Austria’s southernmost wine region. Located between the Slovenian border and the city of Vienna, Styria is known as the country’s green heart. If you love white wine, especially Sauvignon Blanc, this is the place to visit. While you’re here, you can also relax at a variety of spas and hotels and dine at some incredible restaurants. Whether you prefer tavern-style restaurants or more high-end options, there’s something for everyone, and delicious wine is served at all of them. If you’re looking for an affordable international wine experience, make Cape Town your getaway of choice. This small city has an incredible selection of wines available, along with delicious cuisine served in a stunning atmosphere. Whether you prefer a crisp Sauvignon Blanc or a full-bodied red, you’ll surely find something here that suits your tastes. Instead of making your first trip an international one, you might want to consider starting with a getaway that’s a bit closer to home. These domestic trips will be more affordable, but you’ll still get to enjoy the luxurious experience of a wine vacation. Want to Learn About Other Great Getaways? You love wine and you love traveling. Why have you never thought to put the two together before? You’ve now got plenty of information to help you plan great winery getaways. Do you need help planning other trips, though? If so, we’ve got you covered. Check out the travel section of our site today for all kinds of helpful information on everything from booking hotels to finding the cheapest flights.